Gen. Frank Gorenc has been confirmed as the next commander of U.S. Air Forces in Europe. Born in Ljubliana, Slovenia, Gorenc has served as assistant vice chief of staff of the Air Force since April 2012. He is a command pilot with more than 4,500 flying hours in the F-15C, T-38A, MQ-B, C-21 and UH-1N helicopter. 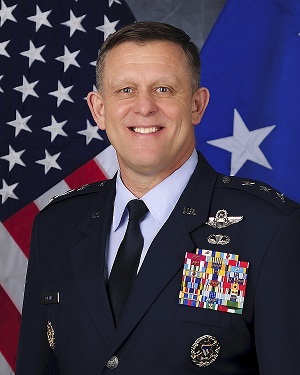 Since graduating from the Air Force Academy in 1979, Gorenc has served in Europe, Japan and Iraq. He holds two master’s degrees: one in aeronautical science from Embry-Riddle Aeronautical University, Daytona Beach, Fla.; the other in national security strategy from the National War College in Washington, D.C. He replaces Gen. Philip Breedlove, who became head of U.S. European Command and Supreme Allied Commander Europe.